Todd Delano, CEO of ServRx, had “the classic problem” of a successful startup. The company was growing, but the culture was not. Unlike many CEOs, Todd recognized that unless he got people aligned, he wouldn’t break through to the next level. Using a focus on emotional intelligence, the team was able to transform their organization — doubling their employee engagement, and in the same year, increasing revenue by 25% and net profit by 110%, with only a 15% increase in staffing. 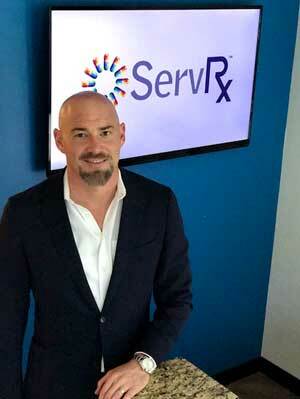 ServRx was founded in 2009 for the purpose of providing the pharmacy industry a more efficient process for filling prescriptions for injured workers. By 2014, the company was growing out of its initial startup phase, but success was bringing new challenges. The founding strategy of the company was working — the technology and methods were creating tremendous savings for their clients and making people’s lives better. But could the company grow to the next level? Like many CEOs, Todd Delano was focused on building the business side of the business — and while it was working, Todd saw that he had a new problem. With growth, the original culture was getting lost, and there were few systems and structures in place to sustain people’s alignment, motivation, and energy. The leadership team was caught up in fire-fighting. There was “the usual” constant stream of small issues — almost all interpersonal. Communication gaps, disagreements, misalignments… a “culture of squabbles” was emerging, and it was draining the life force from the leadership, leaving the team exhausted. Driven by a passion for continuous personal growth (as evidenced by a vast wall of people-development books in his office), Todd began to explore the science of emotional intelligence. Spurred by remembering Daniel Goleman’s emotional intelligence book that he read in college, Todd got online. He heard Six Seconds’ CEO, Joshua Freedman, would be in Phoenix, and made a connection. In the Spring of 2014, Todd completed Six Seconds’ intensive, five-day EQ Practitioner Certification Course, and a lightbulb ignited. Over the next year, Todd met regularly with Michele Royan, then Regional Network Director for Six Seconds, to work on his own emotional intelligence and to explore options for putting EQ into the organization. Todd and Michele crafted a plan for a cultural revolution of ServRx. The startup success trap: As business grows culture gets lost. What to do? The first stage of the project was a diagnosis, apropos for a company called “ServRx.” Todd and Michele agreed that a baseline measure would allow all the stakeholders to confront the current reality, and to decide if change was needed. Is this climate what you want — is it going to get you the results you’re looking for? If it’s not what you want, what needs to change? For that change to happen in the company, what will you, personally, need to do differently? Trust. Teamwork. Engagement. Family-oriented. Efficient. To build a thriving enterprise, what is the culture you need? In one tweet. 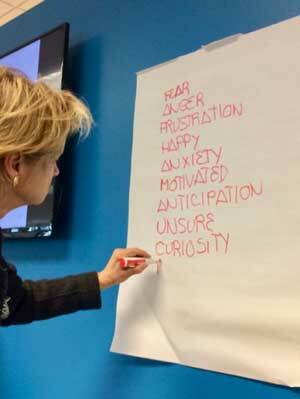 To open the door for next steps, Royan presented a 1/2-day workshop on change and the EQ Brain Profiles. The session sparked curiosity, and began a new kind of dialogue in the team. Some team members hadn’t seen that for the company to grow, they’d need to make changes themselves. Another key outcome of this session was dialogue. People who were not talking began to engage with one another, and began to consider that their different brain style (as shown in the Brain Profiles) might actually be an asset. The dots were getting connected. 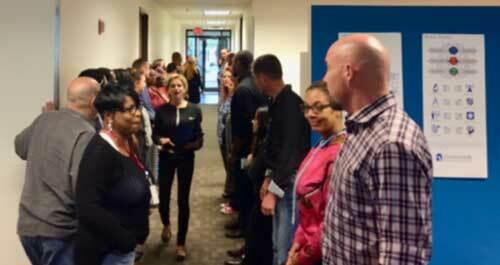 Following this workshop, employees suggested it would be helpful to be able to see everyone’s “brain style” so they could practice talking to one another with the same kind of curiosity and openness they experienced in the workshop. So every employee has their BBP posted outside their work station. There a ServRx Dashboard poster was created with the composite results for the whole organization, and it went on display in the break room for all to see and discuss. The team then initiated a process of monthly coaching sessions for Directors and Supervisors, either individually or in groups. The leaders were tasked to bring specific issues where they saw the organization was not working in alignment with the intended culture. Using the language of emotional intelligence and understanding of employees’ and managers’ Brain Profiles, the coach supported the leaders to craft solutions that would reinforce the new culture. The workshops give employees an opportunity to share strengths that are not job related and to get to know each other on a more personal level, enhancing connections. To systematize the focus on emotional intelligence, the tools are being integrated into organizational structures. For example, new Employee Trainings take place about quarterly, and trainings on the Profiles was integrated into this process. Each new employee now receives their own set of Brain Profiles to post outside their work station. In another case, this past December, Supervisors received training to utilize the BBP and Brain Talent Profile in year-end performance reviews. Next steps may include customizing the tools for selection, performance management, and retention. It’s been a banner year for the company. The culture is improving dramatically, as is the business. ServRx was recently named #156 on the fastest growing privately held companies by Inc. magazine; staff increased by just 15% while revenue grew by 25% and net profit by 110%. Delano didn’t send his team members to training, he went first, then made the time to integrate the concepts into his own leadership before asking others to do the same. This role-modeling creates buy-in, and also gives the senior leaders the insight they need to support the process. 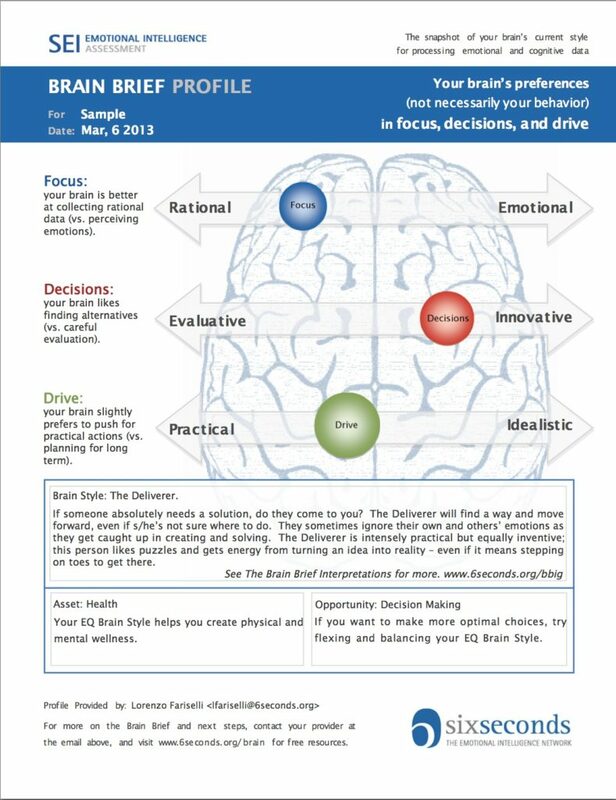 Using the Brain Profiles provided a language and framework that could become part of daily interaction, meetings, onboarding, problem-solving, and even performance reviews. Having a shared language allows people to talk about emotions in a business-savvy way that engages people. As Six Seconds says: Emotions drive people, people drive performance. 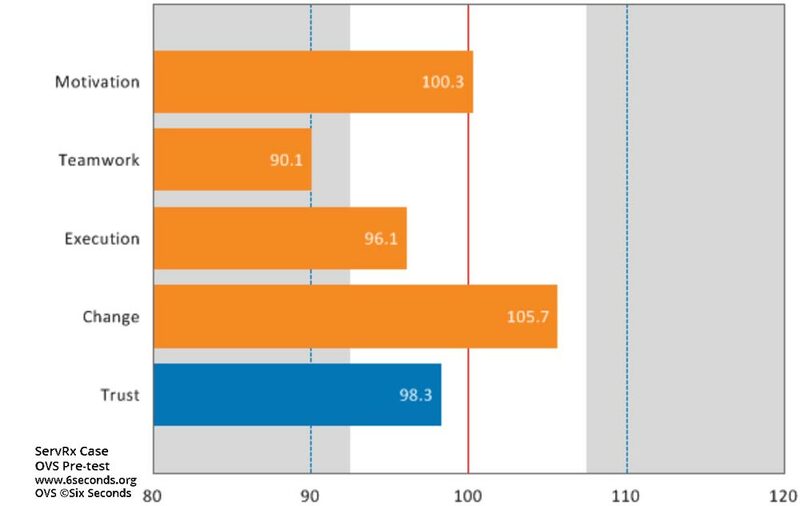 Using a tool like OVS to measure the climate provided a catalyst for the leadership team to put emotional intelligence forward as a top priority. This kind of data creates a focus for the work and provides a clear metric for results-oriented leaders. Wow, what a great case study! 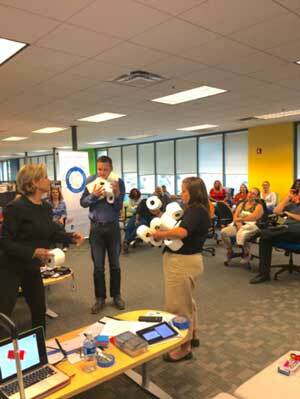 Congrats to @Michele Royan (and Todd) for the wonderful successes here! EQ is not rocket science, it’s people science… but it works, like magic… with reproducible results.